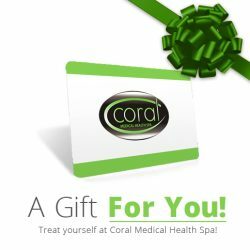 At Windsor Ontario’s own Coral Medical Health Spa we are proud to introduce the Mesoline Hair Treatment! We are excited to add this new service to our service menu that already includes BOTOX Cosmetic, Juvederm Fillers, The Oxygeneo 3-In-1 Oxygen Facial, DermaSweep MD Microdermabrasion, IPL Photorejuvenation and Laser Rejuvenation. We have about 120,000 hairs on our scalp. 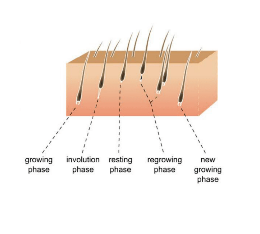 Hair growth lasts for up to 5 years, then enters a resting phase for up to 12 weeks. After the resting phase, hair falls out of the follicle and a new hair starts to grow in the same cycle. Up to 100 scalp hairs per day may fall out. This is normal. Normal hair growth depends on a good blood supply to the papilla and a healthy body. Is common familial and androgenetic. It begins at the temples and/or vertex and can spread to diffuse thinning or nearly complete loss. Is hair thinning in the frontal, pariental and crown regions. It is androgenetic too and appears often during menopause. For more information, or to book a FREE consultation please contact us at 519-969-1554 or contact us!